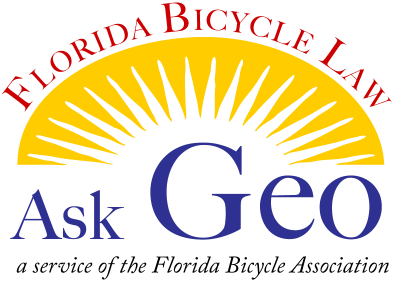 Ask your questions about Florida statutes related to bicycling. Your questions will be received by George Martin and answered in the “Ask Geo” section of this website. DISCLAIMER: The purpose of this column is to inform about bicycling laws. George is not an attorney. The material provided here and through other means is for general informational purposes only and shall in no way constitute or be construed as legal advice by the officers, directors, agents or employees of the Florida Bicycle Association. 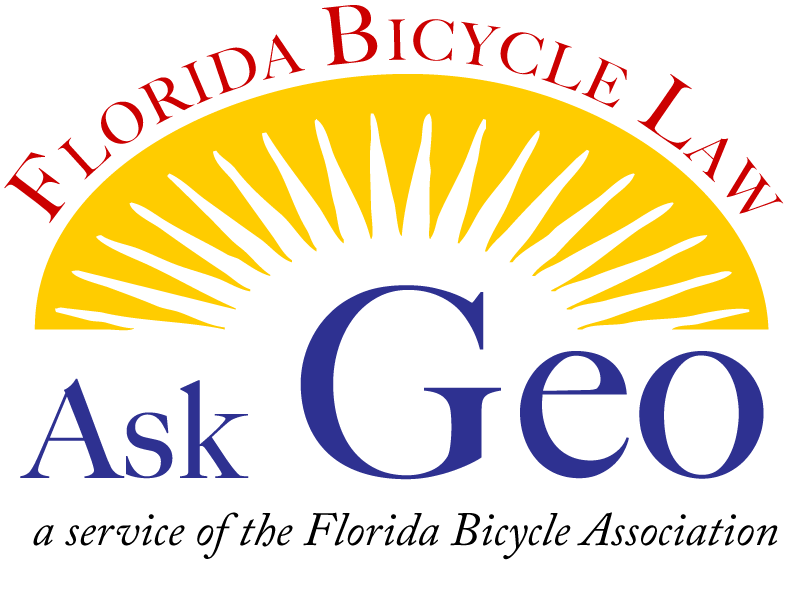 If your experience in a court of law or on the streets differs from that presented, we want to know about it, but George Martin and FBA are not accountable for a ruling contrary to our interpretation of Florida Law or other consequences of cycling. You should seek legal advice on a particular situation.